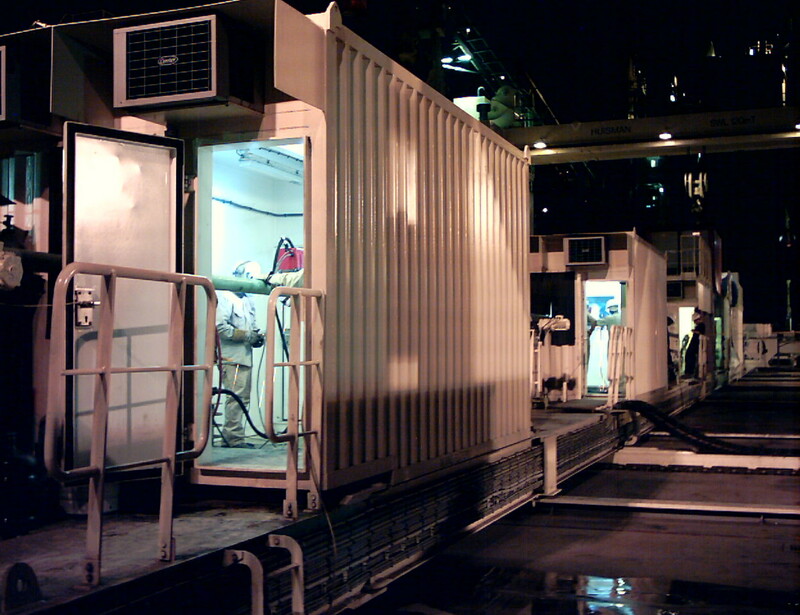 For J-lay pipeline construction, we have a range of tailored equipment, such as automated high deposition single and dual head torches, specialized clamps, and beveling solutions, that can computerize the construction and offer error-free J-lay pipeline production. 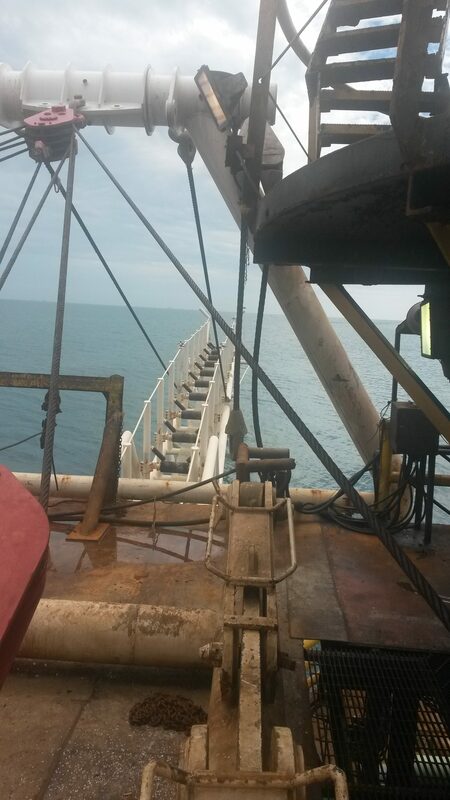 Our offshore welding services, coupled with tailored equipment, ensure that you get the best welding results. 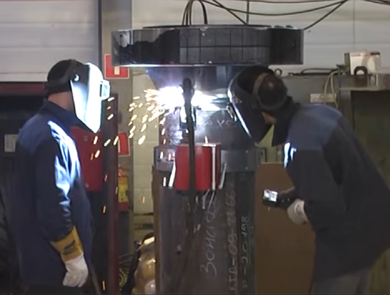 Dyna Torque Technologies Inc. offers its expert services and a range of welding equipment, including automated welding bugs, pipe bevellers, and in-line clamps, for a wide array of offshore applications in the pipeline welding industry. 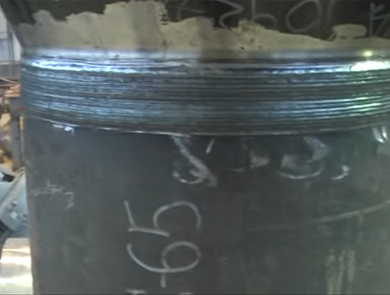 Our offshore welding services take advantage of the extensive experience in the industry for development of welding parameters—as well as offering welding procedure qualifications for our clients in the offshore pipeline business. We have designed our LoneStar Automated welding system, our line of customizable welding equipment, to be compatible with all needs of offshore pipe welding while offering high-productivity and repetitive quality. Constructed of aluminum and stainless components the LoneStar system is designed for adverse working conditions. 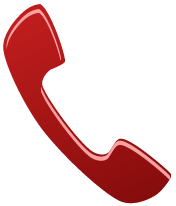 Made with high-quality parts and precision engineering, our equipment can endure 24-hours-a-day operations without failure or decline in performance. 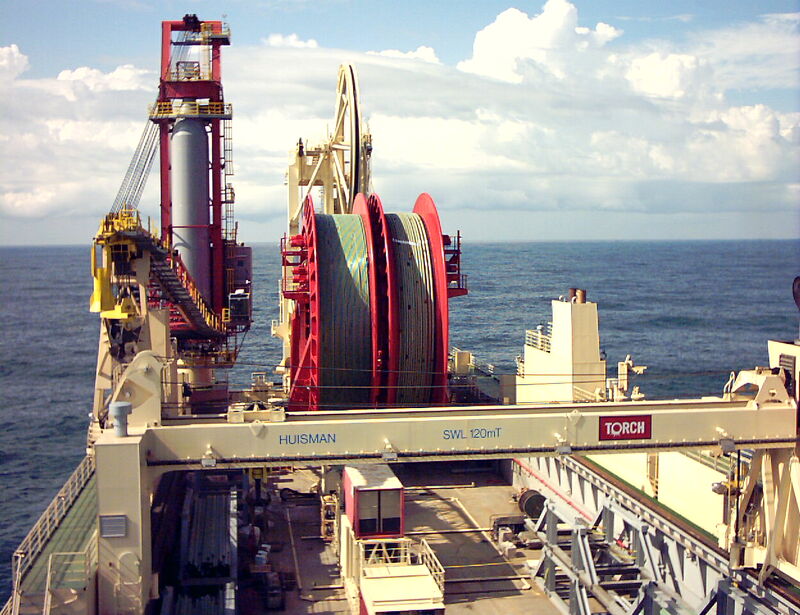 The versatility of our system makes them one of the most sought-after solutions for offshore applications. 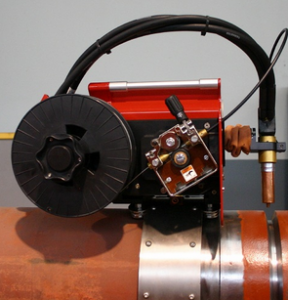 Whatever the project type, our automated range of offshore pipe welding equipment are capable delivering quality welds consistently. 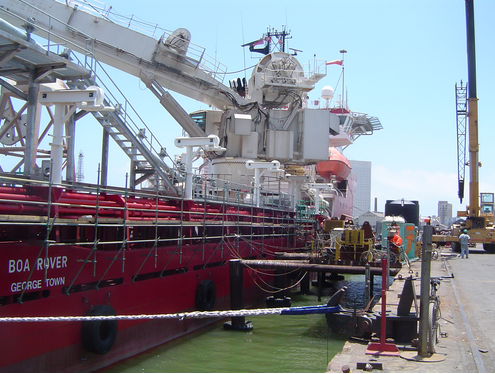 Our mechanized offshore pipe welding system, coupled with offshore welding services, makes us a leading name in offering hardware and management services for spoolbase welding. 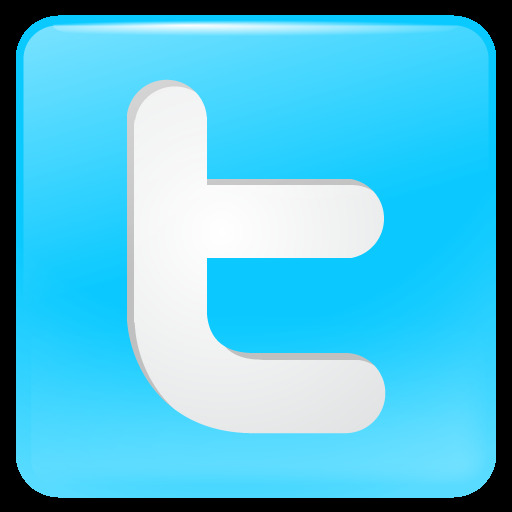 We ensure that the project complies with the standards and run smoothly while adhering to the schedule. 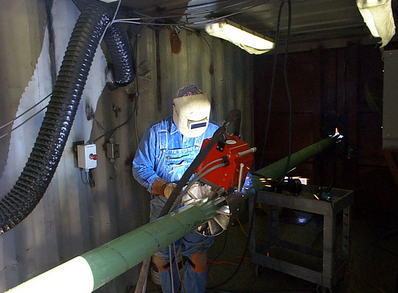 We offer tailored S-lay pipeline construction welding solutions. 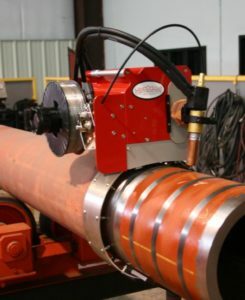 The automated welding technologies of Dyna Torque Technologies, Inc. can help you carry out deep-water pipeline lay applications within the budget and on time. 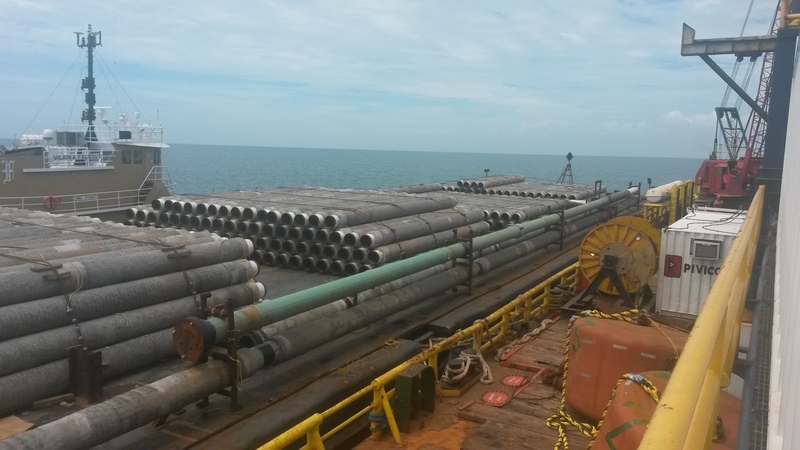 We supply your needed offshore pipe welding equipment, including single or dual head automated welding systems, pipe facing machine, and the internal lineup clamps. We, Dyna Torque Technologies, Inc., have designed and developed various pulsed GMAW welding solutions especially for welding of corrosion resistant alloys for deep water pipe lines; be it corrosion resistant alloys spoolbase, J-Lay applications, S-lay, or any other intricate structure, we can offer quality and consistent welding by employing our customized offshore welding services.